Continuous research and a strict testing process has rendered Nightforce Scopes as one of the best brands in the firearm industry. As a result it has successfully developed new standards in quality and manufacturing processes. The rifle scopes from Nightforce are assembled mainly in Idaho, but there are various models that are produced and assembled in USA as well. All Nightforce scopes are 100% certified and pass rigorous testing before being shipped. It is this commitment that makes Nightforce an outstanding brand. Nightforce scopes are packed with the latest technology and advanced mechanical designs that focus on the features that are required by shooters and hunters. Nightforce NXS scopes are guaranteed tough and tested every day to ensure that the very best is delivered to the users. Commonly used by United States Special Forces and tactical shooters around the globe, strict testing procedures are followed for these scopes. Identical to the NXS series, but with a reticle in the first focal plane, these scopes are perfect for any shooter. The F1 NXS models were Nightforce’s response to the U.S. military’s request for an accurate and fast scope for various targets under various light conditions. Besides outstanding clarity, the Nightforce F1 NXS is known for their quick adjustments for targets at all distances. The Nightforce journey began with the Benchrest scopes and till today it has emerged as a leader with its top class performance. The major USP of the Nightforce Benchrest models is their accuracy and ability to adjust swiftly in all situations. The Benchrest offers the best resolution for light management. The Advanced Tactical Riflescopes from Nightforce stable precedes the success of the NXS series. The Nightforce ATACR is ideal for an advanced marksman looking for tactical precision in his long distance shooting. ATACR is packed with the best lenses available on the market and allows 90% better lighting than the average scope. 92% light transmission ED glass, color contrast and maximum resolution are the features that perfectly describe Nightforce Competition 15-55×52. These are specially designed for bench shooting and are applicable for all practical purposes. You will come across various reticles while buying a Nightforce scope. However, all the models of Nightforce velocity reticles are known for their swift adjustability and extreme accuracy. 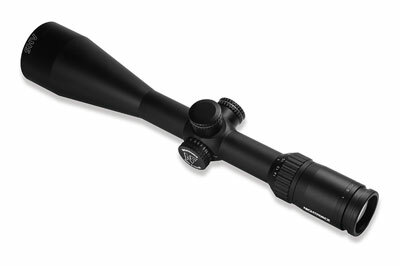 Get scopes of Nightforce Optics at best price from Scopelist.